Pay Scale ( वेतन ) : Rs.14000- 18,000/- (p.m. consolidated) based on qualification performance and experience. How to Apply in Indian Institute of Technology Mandi (IIT Mandi) ( आवेदन कैसे करे ) :Interested and eligible candidates should submit application form and detailed CV through mail to maneshware@iitmandi.ac.in . Format of application form is appended. Original documents will be required for document verification during interview. Pay Scale ( वेतन ) : Rs. 25,000/- p. m.
Educational Requirements ( शैक्षिक आवश्यकता ) : Bachelor in Technology (B. Tech. )/ Bachelor in Engineering (B.E.) in Electronics & Communication Engineering with minimum of 60% marks (55% in case of SC/ST candidates). Desirable Qualifications ( वांछनीय योग्यता ) : Candidate must have good hardware implementation skills particularly in the development of microcontroller based circuit boards. He/she must have some experience on system-level integration of the electronic components and hands-on experience of working with bread boards and PCB designs. Age Limit ( आयु सीमा ) : Less than 28 years. Venue of Interview: A4 building, Kamand Campus, IIT Mandi. Indian Institute of Technology Mandi (IIT Mandi) recruits Project Associate Posts. Candidates with M.Sc., B.E., B.Tech. experienced can apply. Nestled in the Sivalik Range of the Himalayas, away from the bustle of the metropolis, a new abode of learning has germinated. 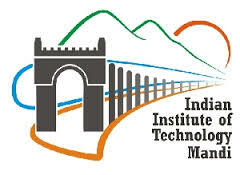 A few hours before the Himalayan resort Kullu in Himachal Pradesh, IIT Mandi has been established with the vision to be a leader in science and technology education, knowledge creation and innovation, in an India marching towards a just, inclusive and sustainable society. The campus in Kamand now offers a world-class academic environment with a high quality of life in a setting of natural splendour.